The organization was founded November 2, 1929, at Curtiss Field, Valley Stream, Long Island, New York. 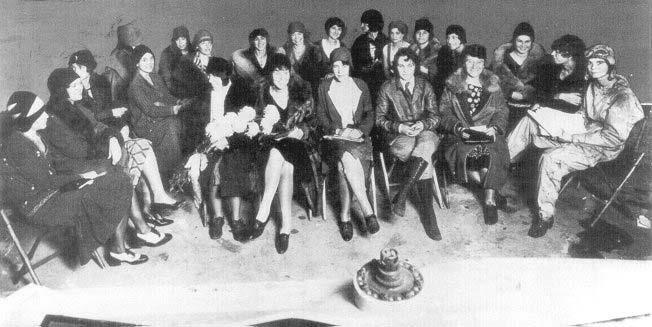 All 117 women pilots at the time were invited to assemble for mutual support, the advancement of aviation and a central office to keep files on women in aviation. Louise Thaden was elected secretary and worked to keep the group together as they struggled to establish themselves and to grow. Those early purposes continue to guide the organization today.